Aside from the two colorways of the Air Jordan 2012 Lite that are scheduled to hit the market on August 2, one more colorway of the kick has been included in next month’s lineup of Jordan Brand shoes. 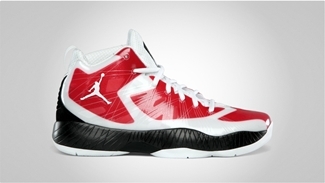 The lighter edition of the Air Jordan 2012, which is JB’s signature shoe for this year, will be coming out in White/Gym Red – Black anytime next month, giving us three excellent choices along with White/Game Royal-Black and White/Black that are slated on the 2nd of August. Watch out for this one because this one looks very intriguing!